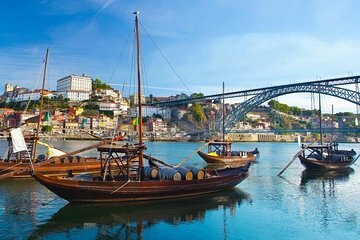 Explore the area between Lisbon and Porto during this full-day tour. Make the most of your time and stop along the way in cities such as Obidos, Conimbriga, Coimbra, and Aveiro as you make your way up to the northern Portuguese city. Stroll through ancient Roman and medieval streets, see the historic city of Coimbra, and take a gondola ride in Aveiro before ending the day at your Porto hotel.